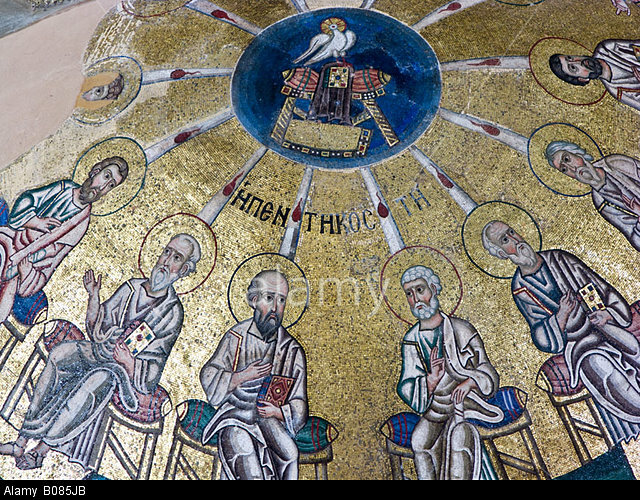 The Holy Orthodox Church is not the property of this or that group of people. It is the One, Holy, Catholic, and Apostolic Church, into which Jesus Christ calls men of every nation, race, and tongue, unto their salvation. In recent centuries, Orthodoxy has been relegated – even, or rather especially, by many of its supposed adherents – to the mere status of this or that tribal religious tradition, a view eagerly agreed with by secular anthropologists and other, less savory, people. But the truth is otherwise. We know from Holy Tradition that the isle of Britain received the Gospel in the Apostolic generation, from no less a missionary than St. Joseph of Arimathea, along with St. Aristobulus the Apostle. In other words, the Orthodox Church in Britain, though its existence was interrupted for a millennium, is as old as the great Orthodox Churches of the various Greek-speaking peoples, and far older than important national churches such as the Russian and Serbian. At the time of its founding, its people were Britons, Celts related to today’s Irish and highland Scots, but they were in the process of being Romanized. Today their descendants live in Wales and in Brittany on the coast of France. Who drove them into the little corner of Britain we call Wales, and who chased them across the Channel to Gaul? Why, the English, of course. During the fifth and sixth centuries, barbarians from the north of Germany – the Angles, Saxons, Jutes, and Frisians – sailed over to Britain and gradually conquered most of what we call England, driving the provincial Roman Christians (for that is what the Britons had become) into the borderlands and setting up their own pagan societies. One of these groups, the Angles, eventually gave their name to them all, thus “England” and “the English.” Now and then a Roman nobleman (like King Arthur, if he really existed) would give them a beating and win the Christians a breathing space, but by the year 600 AD these pagan Germanic people had thoroughly taken over. They called the Roman provincials they had conquered wealas – “foreigners” – and thus our modern words “Wales” and “Welsh.” (Thus also, strangely enough, “Wallachia” and “Vlach,” because the Slavs who conquered the Romans in the eastern half of the Danube region had borrowed the same word from the Germans. Now, I am descended from Welsh people, and therefore my Romanian friends will be happy to know that I am a Vlach too!). Anyway, why did God let this happen? An Orthodox saint, Bede the Venerable, in his great Ecclesiatical History of the English People, says that it is because the Roman Christians in Britain 1. Were morally corrupt, and 2. Did not love the pagan invaders, but only dealt with them on the fallen human level, as enemies, and made no efforts to convert them to the Faith. 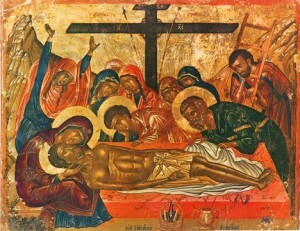 We various Orthodox of the 21st century should ponder their fate and why it came upon them. Who, then, made the English into Christians? Other Romans did it, Romans from Old Rome herself, directed by no less a person than St. Gregory the Great (whom we Easterners call “the Dialogist”), Pope of Rome, another Orthodox saint, who reposed in the year 604 AD. One day in the 590’s, walking through the slave market in Rome, St. Gregory saw some handsome Old English youths up for sale. He asked his companion, “Of what race are these men?” Upon hearing that they were Angli (Angles, i.e., English), the saint, struck by their innocent faces and noble bearing, replied, “Call them, rather, angeli (angels),” and he resolved to send missionaries to (what had become) England to convert their nation. 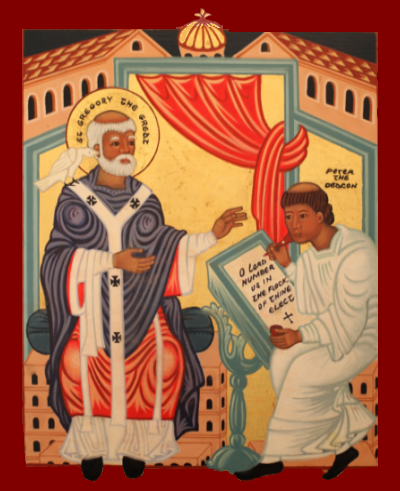 Not one to waste time (St. Gregory is one of those great “action men” of history), he sent one of his hieromonks, Augustine, to England with a group of priests and monks, to carry out this resolve. They landed at Canterbury in Kent on the east coast of Britain and converted the local king, Ethelbert. Augustine became the first Archbishop of Canterbury, and thus began a new Orthodox local Church, which lasted until 1066, when Normans from France, carrying an authorization in writing from the by-then-heretical-and-schismatic pope of Rome, conquered the English and made them into what people today would call “Roman Catholics” (though Eastern Orthodox polemicists have usually preferred less polite, albeit more accurate terms like “filioquists, papists, rantizmates, azymites, etc.” It is actually we who function as the Catholics and the Romans when we are behaving ourselves, but that is another story). Around 500 years after that, an evil king destroyed all the monasteries, desecrated the relics of the saints, and made the English into Protestants. Today, it seems, his successors, directed by the same spirit or spirits, wish to see them made into Mohammedans. But let us return to the Old English. 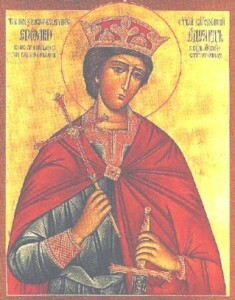 This Old English Orthodox Church produced many saints in its nearly 500 year history, one of whom we celebrate today, which is, to cut to the chase, why I have given this little history lesson: the young King Edward, the Passion-Bearer, a pious and Orthodox king who encouraged monastic reform and general spiritual renewal among his people. He was foully murdered by courtiers who hated his spiritual direction and wanted a king they could corrupt for their own ends, and so Holy Church regards him as a “Passion-Bearer,” a holy man who suffered in the Christian manner for the sake of piety. In other words, non-Christians did not kill him for being a Christian; bad Christians killed him for acting like a Christian. He entered the heavenly kingdom in the year 979, and immediately he began to perform miracles for those who prayed to him and venerated his holy relics. Today, believe it or not, these same relics, through an amazingly providential history, lie enshrined in the beautiful little church of a monastic brotherhood that belongs to our True Orthodox Church of Greece, in Brookwood, Surrey, England. You can read more about St. Edward at their website, at http://www.saintedwardbrotherhood.org/edward2.html. God is wondrous in His saints, of every nation, race, and tongue. As we witness the building of a new global Tower of Babel by those who hate Christ, we who love Him will not defeat them by rejecting the true, Pentecostal, global unity with our Orthodox brethren of every nation, race, and tongue, but by loving them, and by loving, yes, even our enemies, and desiring their salvation. Our God, the true God, is He “Who will have all men to be saved, and to come unto the knowledge of the truth (I Timothy 2:4).” It is a curious turn of God’s providence that the global language of the new Babel descends from the tongue spoken by those angelic invaders from north Germany. There is no “chance” in life; there is only the working out of God’s plan in history. Without putting aside the rich languages of our various national heritages, we must perforce use this English tongue to convert the nations. We have no choice, and let us therefore use it well. 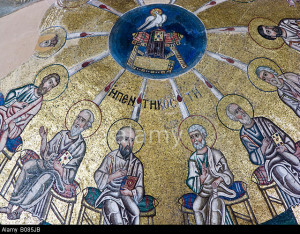 Once, when He descended and confounded the tongues, the Most High divided the nations; but when He divided the tongues of fire, He called all men into unity; and with one accord we glorify the All-Holy Spirit.